Find out more about Pridham and read some of his letters home and diaries. Looking for information on Charles Lewis Wilson who enlisted with 166th Overseas Battalion in 1916. Have looked at his Attestation Papers but would like to see service file. Hello, I am trying to research my Grandfather Victor Rex Hurlock who was part of the Canadian Over-seas Expeditionary force of 166th o/s Battalion and fought in Vimy Ridge. He was born in London UK but was awarded land in Canada (Bad Heart, AB) upon returning from the war. Would you have any records with his position, rank or anything that would help me understand better what role he played in WW1? Hi. I am researching my great grandfather Thomas Gray. He enlisted with the 166th Battalin in Toronto in July 1916. I have his soldiers diaries so I know where he was fighting. They are very interesting. I am trying to find out what units he served with. The believe it was the 12th Canadian Reserve – Engineers. Do you have a suggestion where I can find what units he served with? Linda – the service records for your grandfather are now online at the Library and Archives Canada but there are a lot of Thomas Grays who served in WWI. If you know his birthday, I can point you to his file. Also we’d be very interested in his diaries. 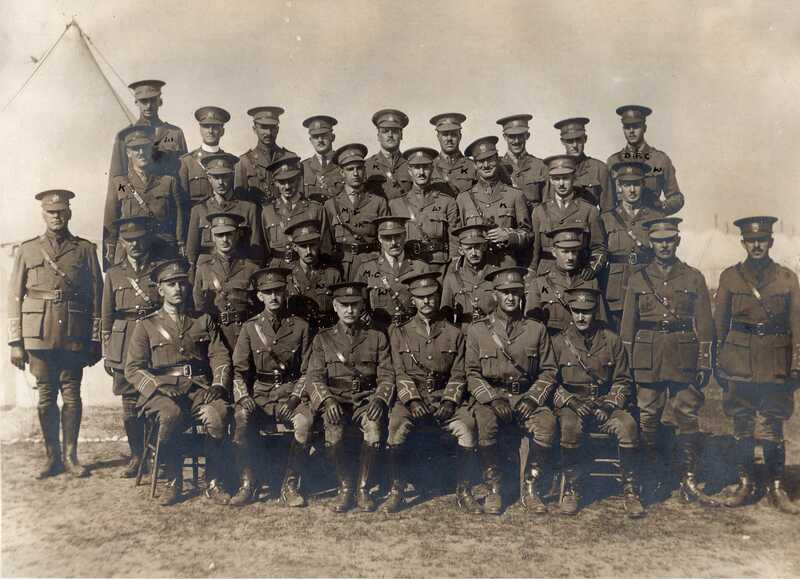 We have transcribed a number of diaries from WWI and uploaded them to our website. Ideally we’d like to add the diaries to our collection but if that’s not something of interest at this point, I’m wondering if it might be possible to arrange for scans? Thank you for the reply. The only item I found at the Archives was his Attestation Paper. I was hoping for more. I just found another document in his belongings that says he was part of the 11th battalion – Canadian Engineers. I would like to know how I can find out all the units he was with. His regiment # is 670132. DOB is Jan 31 1881. I don’t think I’d be comfortable sending his diaries but I might be open to having them scanned. Thomas Gray was not a man of many words (as evidence in his diaries) but then again the diaries were so small there wasn’t much room to write for each day. It is interesting to see his entries for the days that we know big battles such as Aimens took place. Also his entry for Nov 11, 1918 in Mons Belgium on the day the war ended: “hostilities ceased, 11 am, great rejoicing” . I am also wondering if there are any photos of the 166th in July 1916. AND any photos of troops on Nov 11th, 1918 in Mons. I’ve been searching various sites but not quite finding what I am looking for. Also was there a recruiting brochure for the 166th in Toronto…..? I am researching my great grandfather Private Alexander William Dear who fought at the Battle of Vimy Ridge. I am travelling to Vimy Ridge for the 100th Anniversary in April along with my mother, aunts and daughter. It is my greatest hope to have a photo to take with me on our trip which will be undoubtedly profoundly emotional both as a Canadian and as a great grand daughter. Any information you may have with regards to him would be greatly appreciated. All the best on your trip to Vimy!